In a rapid and overwhelming show of community support, donations totaling more than $80,000 have poured in over the past two months to help Zaman International seal the roof on its Hope For Humanity Center in Inkster. 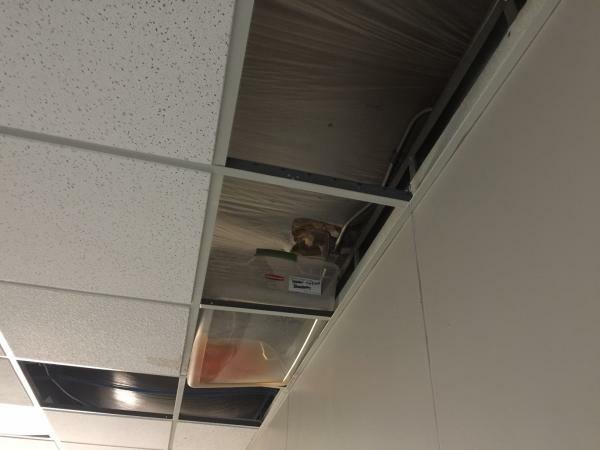 Widespread leaking throughout of the 40,500-square-foot roof, intensified during heavy spring rains, had threatened the tons of food, furniture and clothing on the floor below and given rise to health concerns related to staff exposure to mold. The urgent, multi-platform fundraising appeal began on May 5, when Zaman’s roof emergency was shared with the public by Local 4 reporter Paula Tutman, who filmed a four o’clock news segment surrounded by buckets catching water from the ceiling. That same day, Zaman issued an urgent appeal via email to its supporters for help raising $75,000 to seal the roof with a two-inch membrane of silicone coating – a less expensive alternative to replacing the roof at a cost of $250,000. The response was swift and steady. At Zaman’s annual Mother’s Day brunch and fundraiser the day after Tutman’s broadcast, guests donated $26,500 to the roof campaign in just three hours. An additional $25,000 was provided by a generous longtime donor, and nearly $17,000 in donations came in through Zaman’s website, personal appeals, and a Go Fund Me page created by Zaman supporters. An appeal organized by Zaman donor Yusuf Hai via the crowdfunding platform LaunchGood followed, bringing in donations of $13,000 from around the world to raise the total roof funding to nearly $82,000. With sufficient funds now in hand, Zaman has scheduled work on the roof to begin later this month. Najah Bazzy, Zaman Founder and CEO, noted that the roof is decades old and that repairing breaches has been on Zaman’s “to do” list since 2014, when Zaman purchased the former auto supplies facility for its outreach center. But the rapid acceleration of the leaking was unexpected, she said, and could have forced Zaman to shut its doors out of concern for the health of its staff.